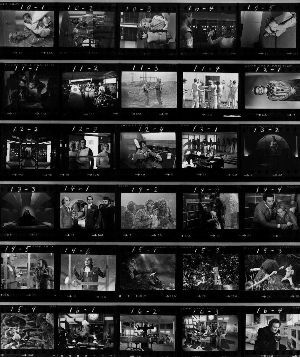 Contact Sheet: year 1 episodes 1-9 (Breakaway to Force Of Life). These contact sheets contain black and white photos from all year 1 episodes. 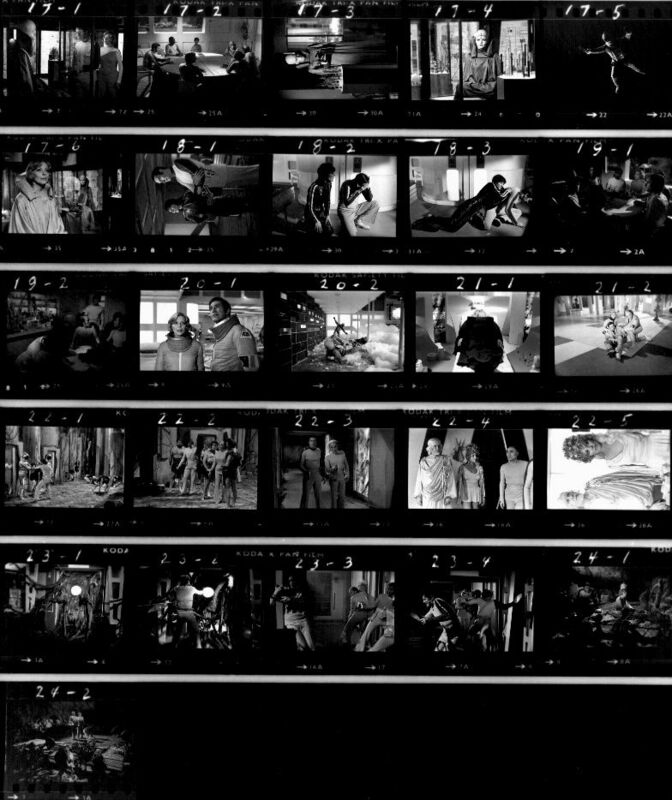 Each episode has between 2 and 6 photos; they are numbered in production order. All photos thanks to Mark Shaw. 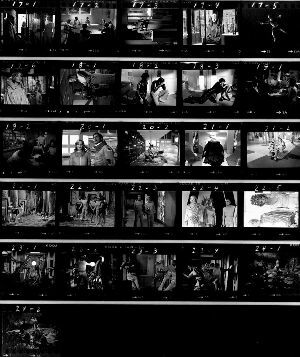 There are also a number of unusual shots (such as the behind the scenes shot of Ryan from Black Sun) which were rarely used. Contact sheets of colour year 1 photos were also produced, and there were similar sheets for year 2. 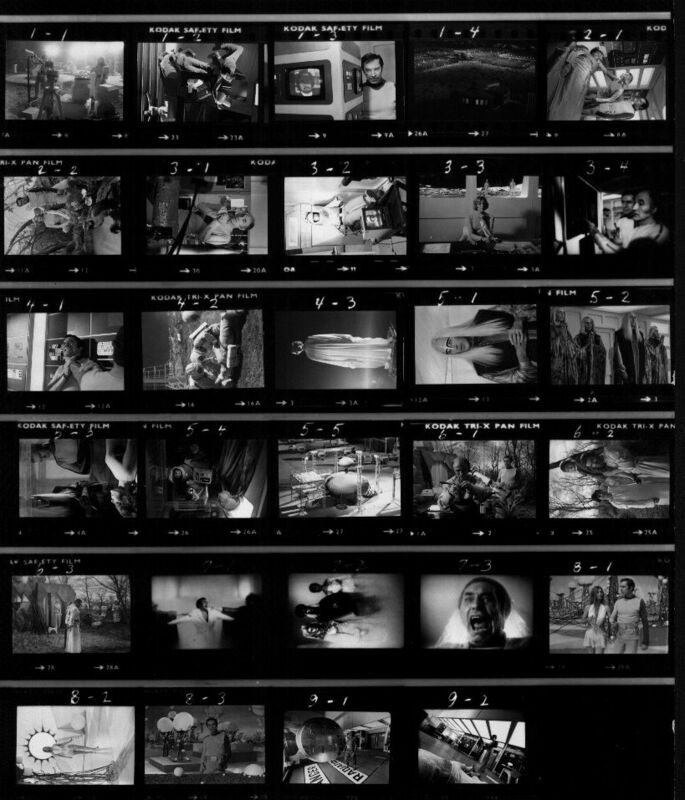 Contact Sheet: year 1 episodes 10-16 (Alpha Child to End Of Eternity). Contact Sheet: year 1 episodes 17-24 (War Games to Testament Of Arkadia).